Designed for Caddis Pupae & Shrimp, low profile barbs and 2XHeavy wire. One of the most popular and important hooks for tying small mayfly nymphs, caddis pupa, midges, or scuds. 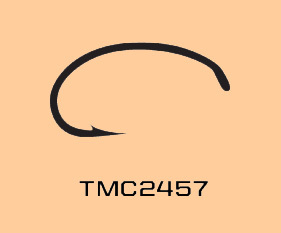 This stout hook can also be used for egg patterns and it is very rare to have one bend out on big fish. When tying standard patterns like Birds Nest or Princes, this hook gives the fly a unique look that fish do not often see.